Homecoming 2017 is only the second reunion Thrift has attended. Daughter Dr Merlene Thrift joked the 97-year-old would not experience much peer pressure on his return, although Elma Coombe, who is also 97, attended, too. Coombe graduated in 1939 but has attended many more Homecomings because of her proximity to Avondale—she is a resident in the Avondale Lifestyle Community. 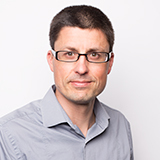 Thrift is a former director of education for the Adventist Church in Trans-Australia and in the Trans-Tasman. He served at what is now Batuna Adventist Vocational School and helped establish what is now Betikama Adventist College in the Solomon Islands. His experience includes stints at Omaura School of Ministry and Kabiufa Adventist Secondary School in Papua New Guinea and at the Adventist schools in Wahroonga, at Avondale and in Hawthorn. 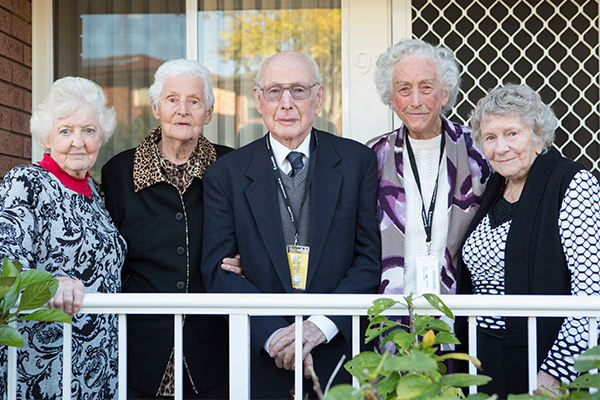 He joined host Audrey Jackson and her classmates at the 1947 honour year reunion on Saturday. Avondale Alumni acknowledged the service of other former students by announcing at Homecoming the recipients of its annual awards. Esther Lane received Alumna of the Year for her lifelong commitment—more than 40 years—to the ministry of teaching. Lane taught at almost all levels of education. The then Division of Preschool Education in Queensland selected her and other teachers to establish the first state preschools in 1973. She would also teach students with disabilities as part of a role with the Endeavour Foundation and English as a second language to tertiary students. In retirement, Lane served as a volunteer in applied linguistics—she and husband Warren taught English in Korea for two-and-a-half years. Alumnus of the Year Dr Wilf Pinchin’s tenure as an academic at Avondale: also 40 years. The mathematician and musician received his award for lifelong commitment to quality education and infrastructure at Avondale and for selfless devotion to wife Colleen, for whom he now cares. Pinchin formed the Avondale College Concert Band and served as president of the Avondale Brass Band. An interest in acoustics and in sound engineering saw Pinchin design, install and operate the sound systems in the Auditorium and chapels on the Lake Macquarie campus and in local churches. He also rebuilt the sound system in Avondale College Seventh-day Adventist Church. The Young Alumnus of the Year is the Seventh-day Adventist Church’s first Director of Young Adult Ministries in Australia. Pr Alina van Rensburg seeks to build the church in southern Queensland by encouraging people to “see themselves as the living, breathing expression of Jesus.” Her role: to inspire, equip and empower a movement of young adult leaders. One of the initiatives she and husband Martin have introduced is #wethechurch, a call for eighteen-to-thirty plus-year-olds to own their faith and their role in the church. A commissioning earlier this year means Alina is now one of two Pr A van Rensburgs—her father-in-law is minister Pr André van Rensburg, who received the honour year citation from the class of 1977. Seven other alumni, at least one from each of the honour years, received citations from their classmates: retired nurse Audrey Jackson (1947); retired clinical educator Norene Clouten and retired minister and director of trust services Pr Alan White (both 1957); retired educator Athol Grosse (1967); teacher Graeme Harris (1987); academic administrator Professor Jeff Crocombe (19997); and author Trudy Adams (2007). Paul Woodward and the Gospel Big Band from Melbourne anchored the Homecoming concert, which also featured vocal ensemble The Promise and Avondale Jazz Ensemble. Avondale Conservatorium Director Aleta King joined vocalists Sandra Entermann, who also performed, and Harry Halliday as hosts. The concert celebrated a potted history of gospel music, with all artists performing songs that highlighted different eras and styles. The Gospel Big Band is Woodward’s retirement project. Former students, current and former staff members of Edinburgh College, where Woodward served as Head of Music and Performing Arts for almost 30 years, and members of the community have joined him. The band is like a family, he told King during an interview as part of the concert. Many are related by birth or marriage—there are husband and wives, a father and sons, siblings and cousins. To illustrate, he introduced the members by their relationship with each other, almost making it through the whole band before breaking any bonds.